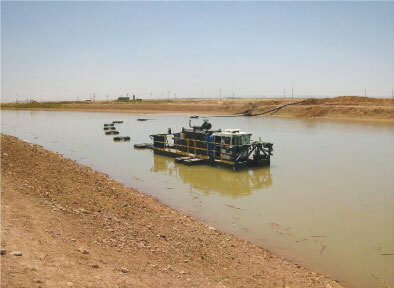 THEFAF ALRAFIDAIN Co. has been awarded the contract by Ministry of Water Resources. 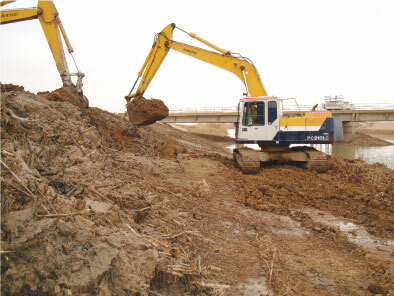 This project was very important for increasing and improving the irrigation of areas through improving the water ﬂow inside the channel, the length of which was 52 KM after dredging, cleaning the weeds, and settled particulars inside the cross section of the channel. from the Dibis Dam to Daquq city south of Kirkuk. The work included cutting and removing the weeds, excavation in both sides of the channel, then using three dredgers for dredging and cleaning the bottom of the channel. The operating period of such project is more than 25 years.